A trio of 'nauts is gearing up to launch to the International Space Station on Friday, ahead of a six-month stay on the orbiting outpost. Alexei Ovchinin, Oleg Skripochka and Jeff Williams will depart Baikonur Cosmodrome at 21:26 GMT atop a Soyuz lifter. NASA wil have live coverage of the launch, beginning at 20:30 GMT, right here. 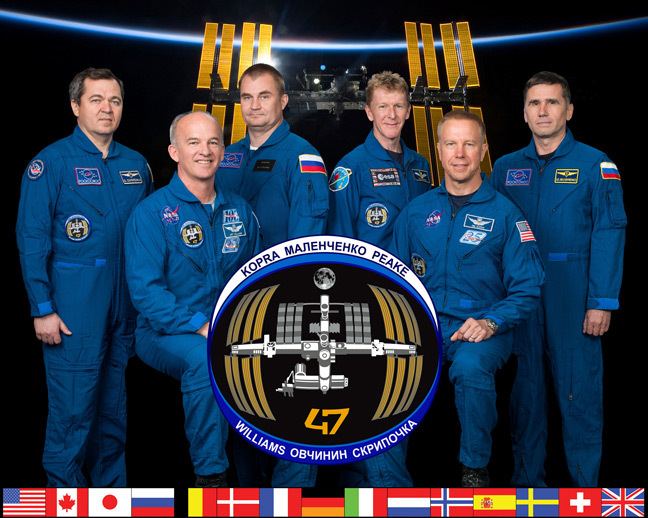 The three are expected to dock with the ISS at 03:15 GMT, and a couple of hours later the hatches will open and they'll be welcomed aboard by current residents and Expedition 47 members Commander Tim Kopra, and flight engineers Yuri Malenchenko and Tim Peake. Former Russian Air Force colonel Alexei Ovchinin is making his first trip into space. His fellow cosmonaut Oleg Skripochka previously spent 159 days aloft as flight engineer on Expedition 25/26, in 2010-11, during which he carried out three spacewalks. This will be Jeff Williams' fourth time in orbit. Back in 2000, he participated in ISS construction as a member of space shuttle Atlantis's STS-101 mission. He completed two six-months stints aboard the station in 2006 and 2009-10. During his forthcoming visit, he'll become "the new American record holder for cumulative days in space - with 534", NASA notes.